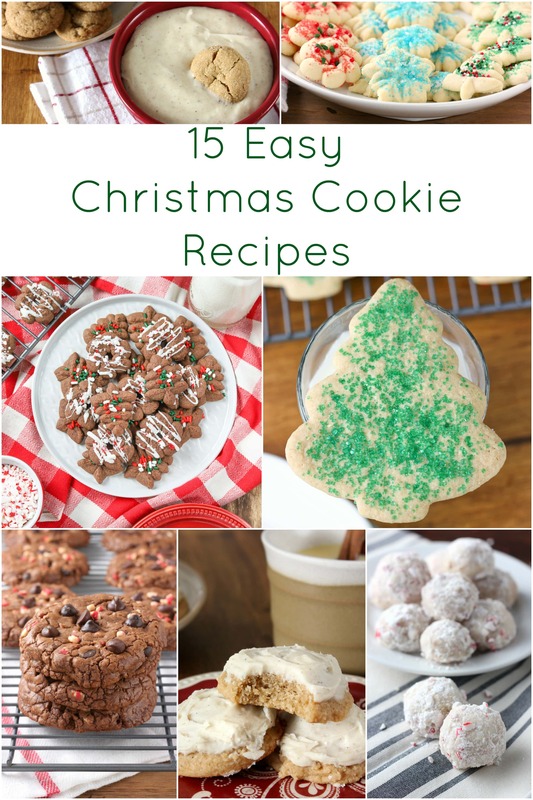 A collection of 15 Easy Christmas Cookies to help you make it through this busy time of year! All the cookie recipes are easy to make and the ingredients are ones that are most likely in your cupboards right now! It’s the week before Christmas! Are you ready? My oven is on just about every day with some kind of cookie/bar/cake baking! Since we can all use as much extra time as possible this time of year, here are 15 easy cookies recipes that either don’t take a long time to bake or require very little prep work. Plus, the ingredients are probably already in your cupboard for most of these, so you don’t need to take the time to run to the store for one or two ingredients! 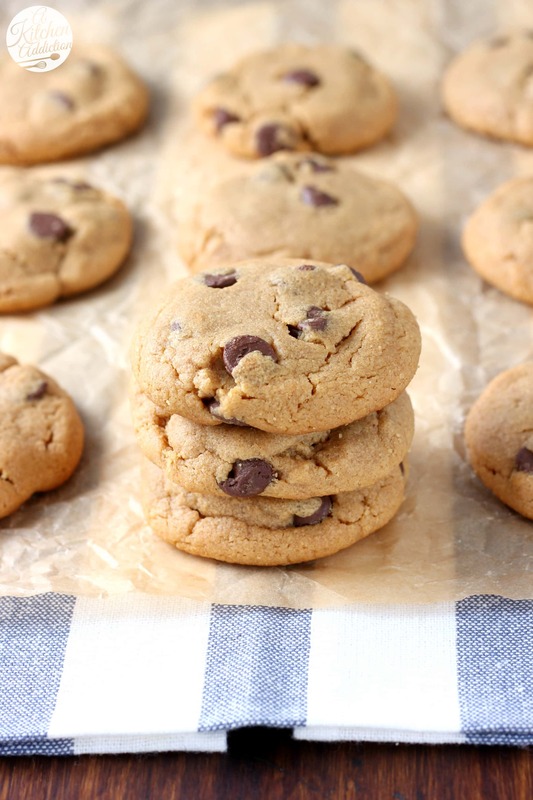 Just click on either the name of the cookies or the images of the cookies to get to the full recipe! 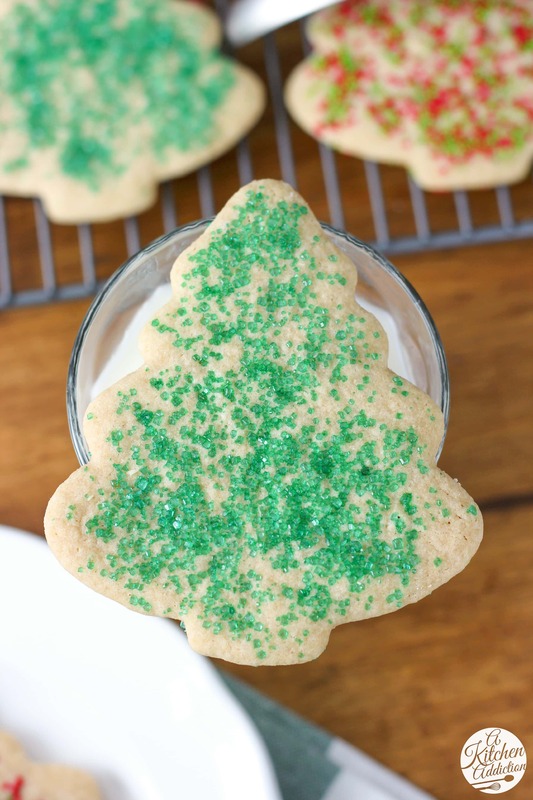 These Spritz Cookies are a classic holiday cookie that round out any cookie platter! 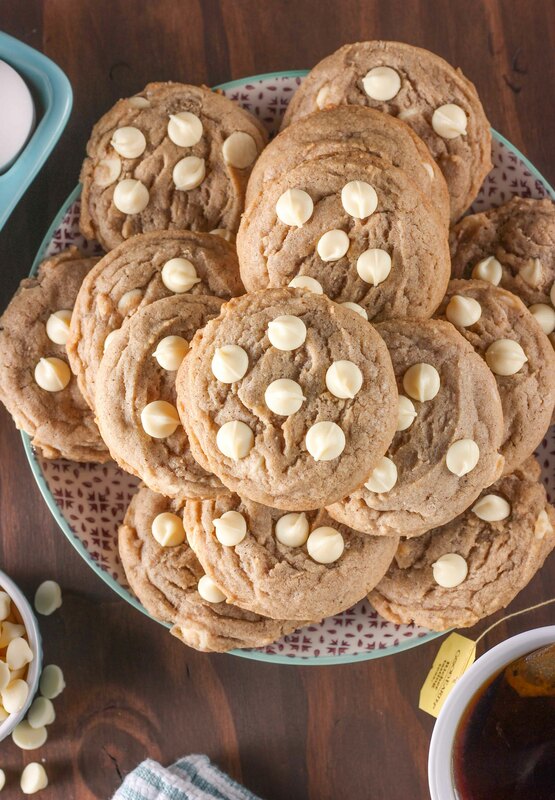 Not too sweet and perfectly buttery, you’ll want to make a batch of these easy cookies for your next party! Plus, one batch makes a lot of cookies and only a few dirty dishes! 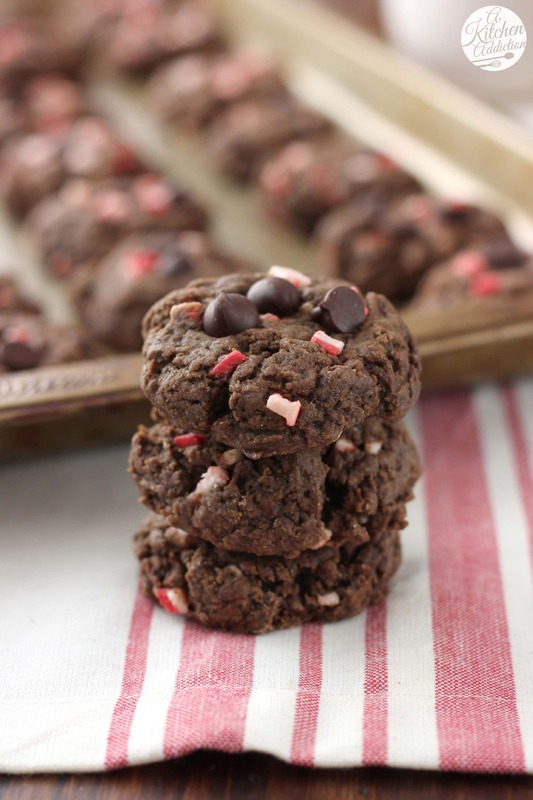 These soft, puffy dark chocolate based cookies are stuffed with peppermint pieces and dark chocolate chips! 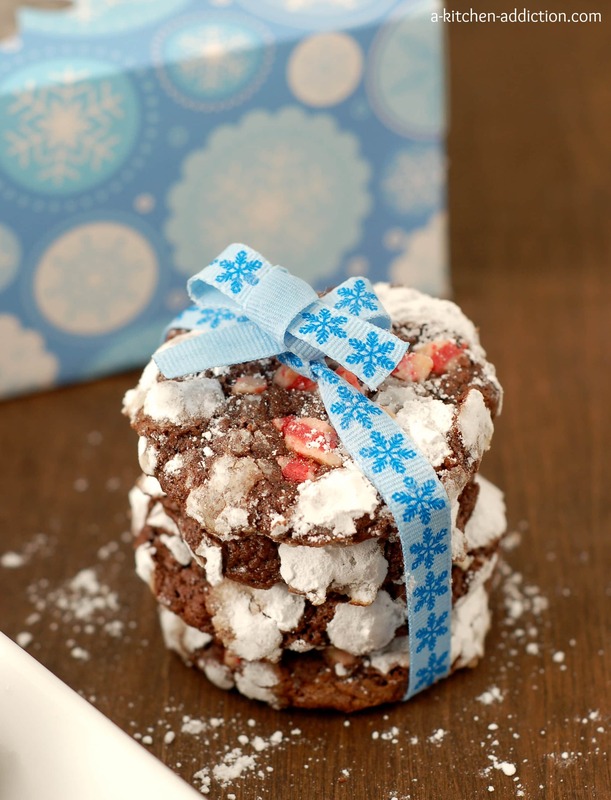 The classic peppermint chocolate combination is irresistible in these rich cookies! Perfect for dunking in a big glass of milk! These Lightened Up Sugar Cookies are rich, chewy and everything a good sugar cookie should be, just with a reduction in butter and sugar! A great way to indulge without going overboard! Thick, fudgy and stuffed with dark chocolate and caramel bits, these Salted Dark Chocolate Caramel Fudge Cookies are completely irresistible! 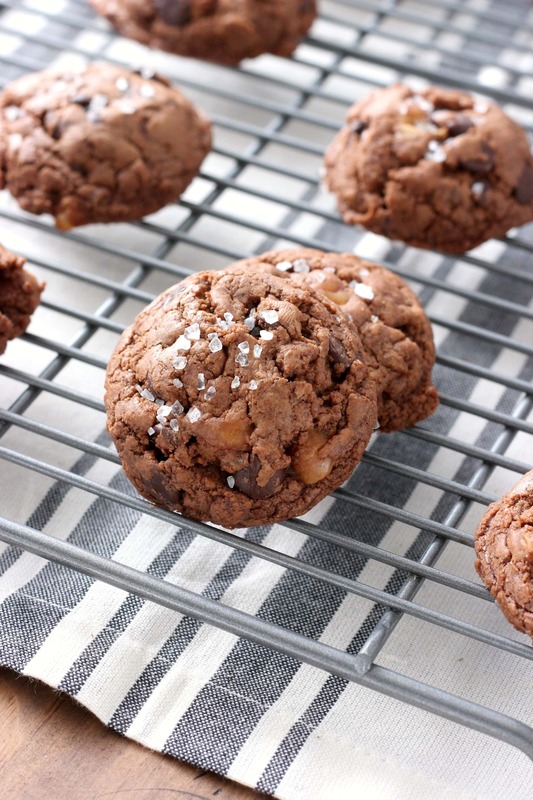 If you love dark chocolate and caramel, you can’t go wrong with a batch of these cookies! 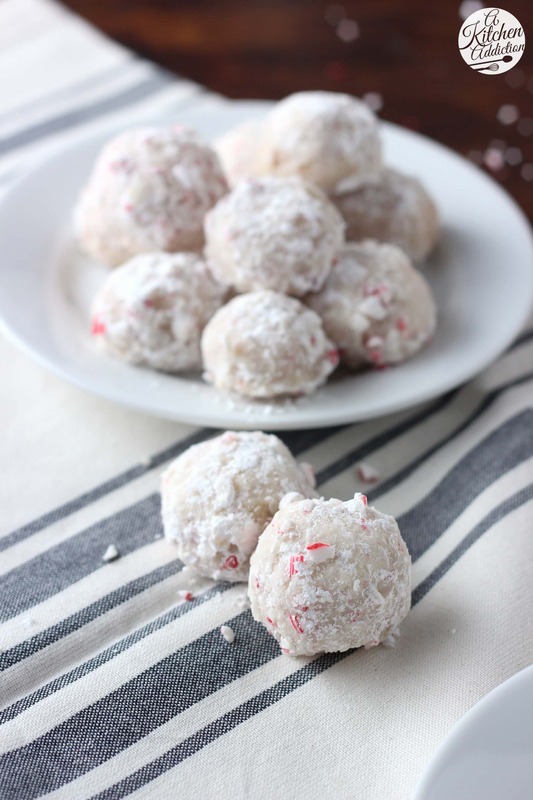 Traditional Snowball Cookies get a boost of flavor from crushed peppermint pieces and peppermint extract! 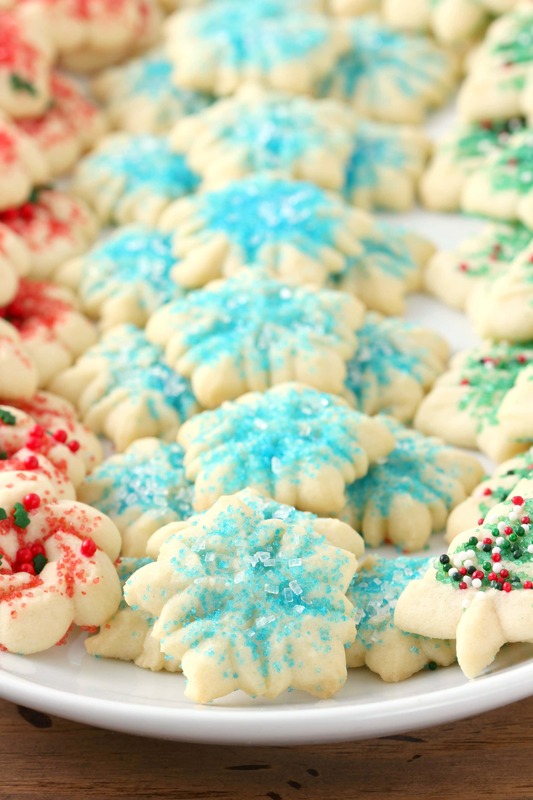 Easy to make, these melt-in-your-mouth cookies are sure to be a hit at your holiday party! 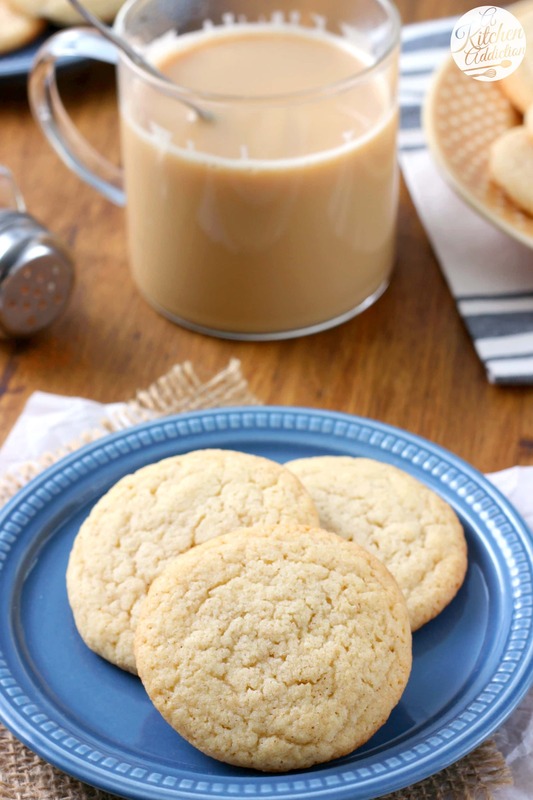 These White Chocolate Maple Chai Cookies are soft, chewy cookies that are filled with warm spices, a hint of maple, and a sweet note of white chocolate! 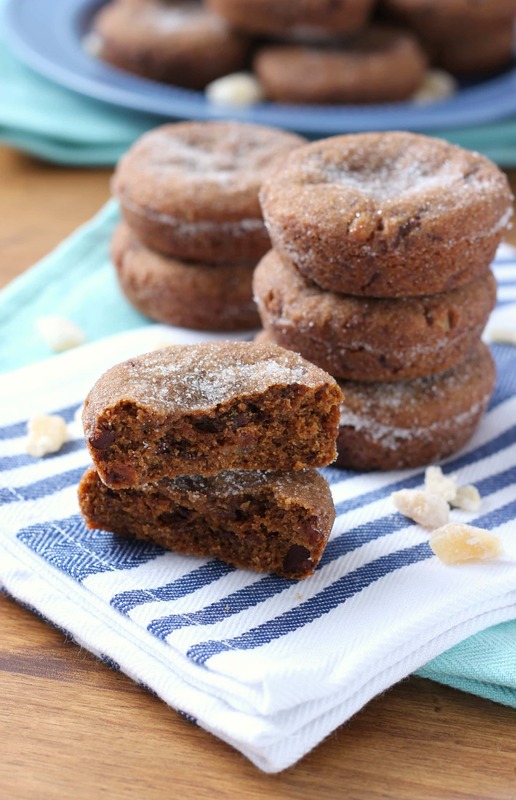 Not your traditional holiday flavors, but still a great addition to any cookie platter! Soft, pillowy eggnog cookies are filled with chai spices and topped with a creamy eggnog buttercream! It’s one of your favorite holiday drinks in cookie form! 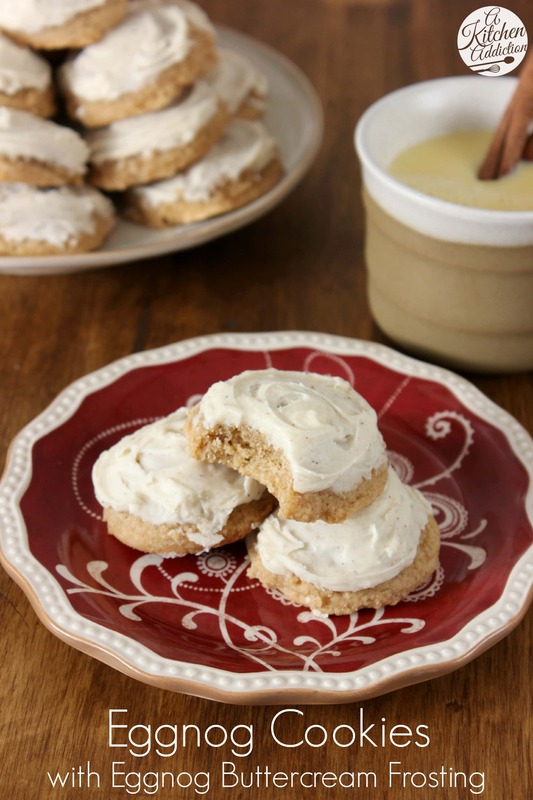 Lightly sweet and slightly spicy, these Cinnamon Tea Cookies are great for munching on while sipping your favorite mug of tea for a little down time during the craziness of the season! These Flourless Peanut Butter Chocolate Chip Cookies are rich, chocolaty, and only take 30 minutes from start to finish! Perfect for those who need a gluten-free option! 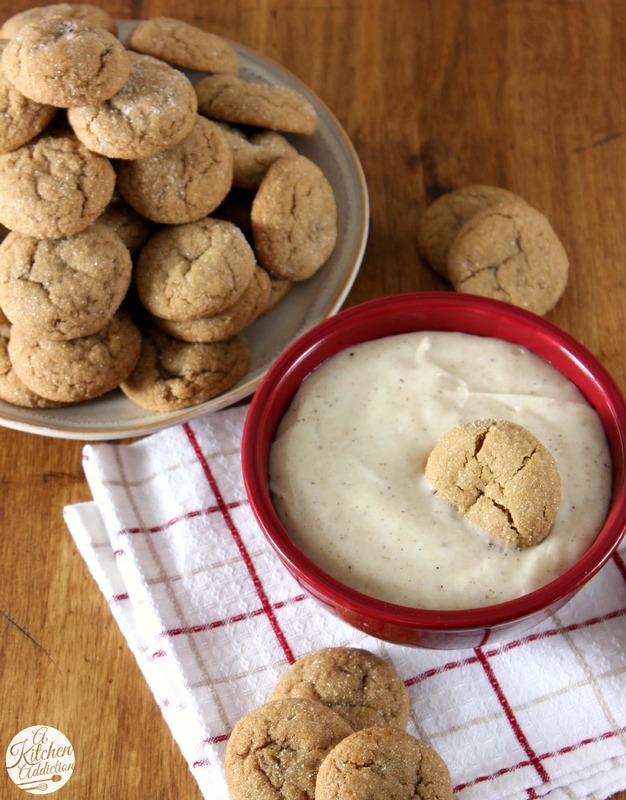 Soft, puffy ginger cookies are lightly spiced and mini-sized great for dipping in a simple eggnog cheesecake dip! A fun addition to the holiday dessert table! 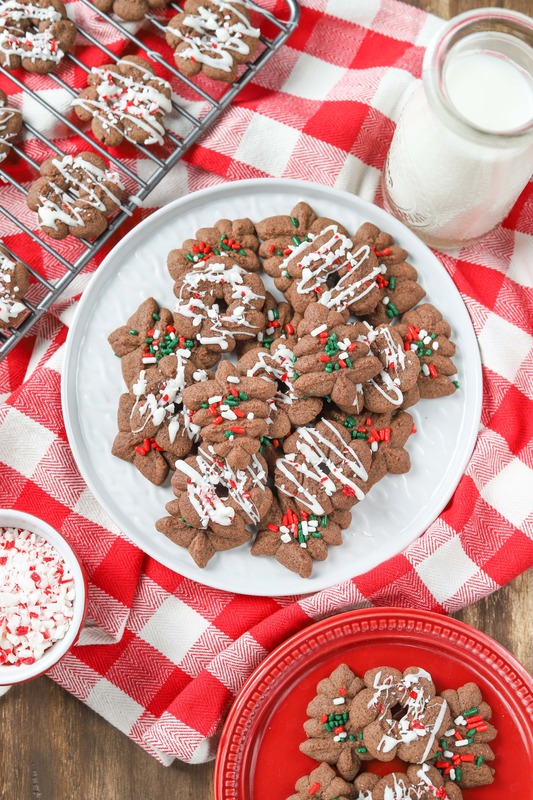 This classic Christmas cookie is rich, fudgy and studded with peppermint crunch baking chips! Thick, chewy and stuffed with both ground ginger and crystalized ginger, these spicy cookies have a surprise of chopped chocolate in each bite! 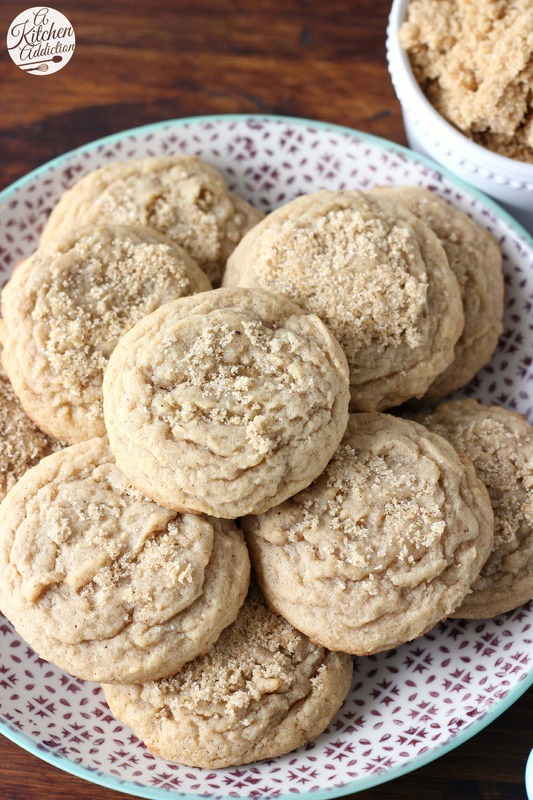 Perfectly soft brown sugar cookies are filled with maple and nutmeg to create an irresistible new favorite! 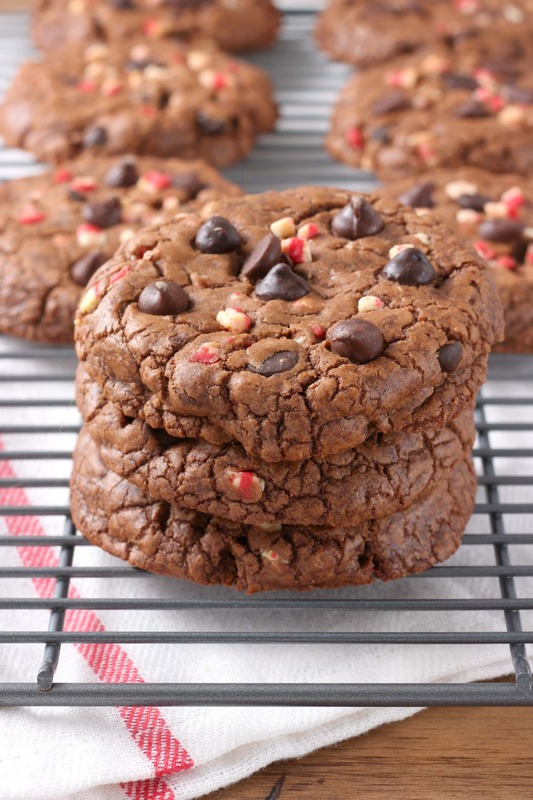 These irresistible Giant Peppermint Chocolate Fudge Cookies are thick, fudgy and filled with the classic holiday combination of chocolate and peppermint! These cookies are always a favorite! What cookies do you make every year? Have any favorites that I have to try? There are so many cookie options!! Thanks for sharing!!! Such a big list and I would like to try all of them!